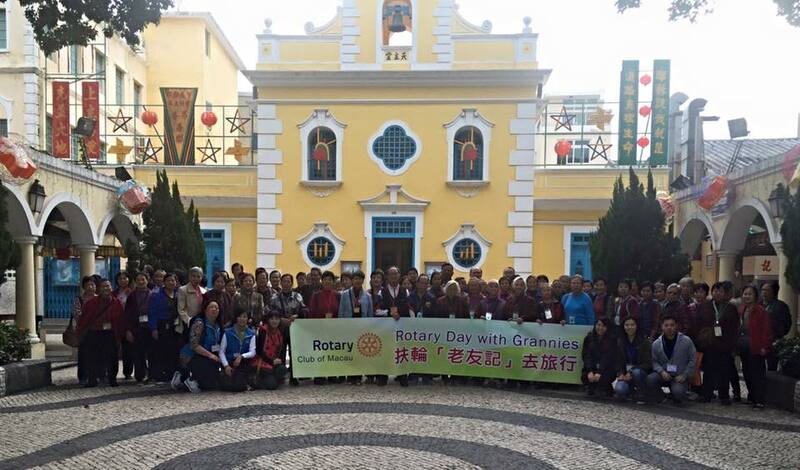 Rotary Club of Macau, together with her service-in-partners, Rotaract Club of Macau and Rotaract Club of University of Macau’s Students Union, hosted the very 1st “Rotary Day with Grannies” on Saturday 28th November, 2015. There were over 80 grannies between the ages of 65 to 80 years old, from 4 different elderly Centers, namely: Federação das Associações dos Operários de Macau, Associação Geral das Mulheres de Macau, União Geral das Associações dos Moradores de Macau and Caritas Macau. 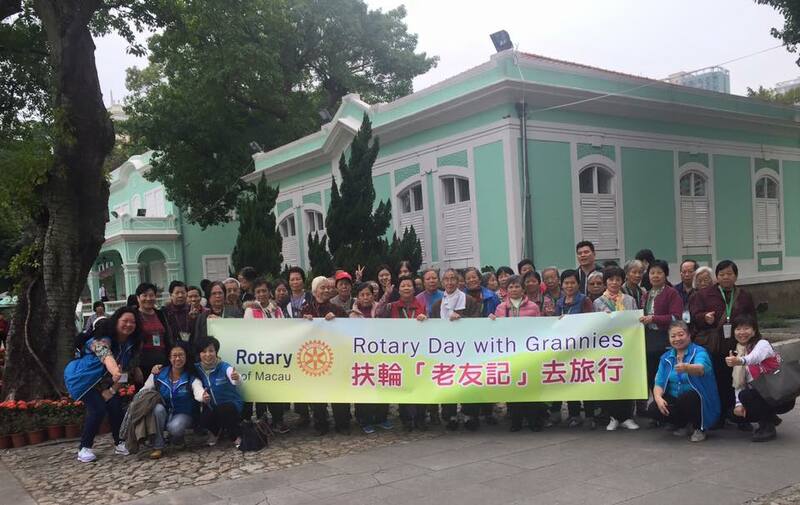 The grannies, Rotarian volunteers and Rotaractor volunteers gathered at their respective centres and were shuttled to their first destination – Coloane Village. They had a pleasant walking tour of the old Coloane village, for some grannies, revisiting the Church of San Francisco Xavier, the ferry terminal and Temple of Tam Kung. 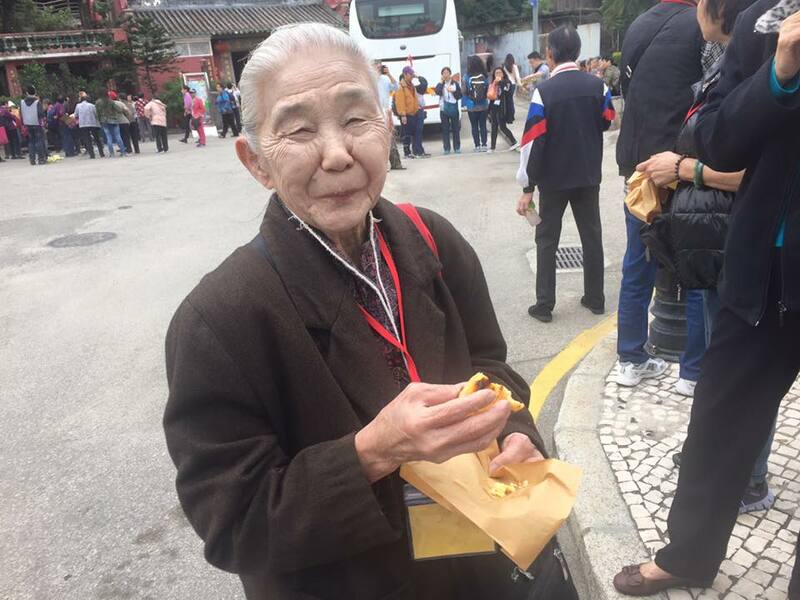 Before going onto the the next location, each grannies and volunteers enjoyed a warm Portuguese egg tart! 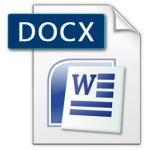 Then they went to see the Lusofonia and enjoyed a bit of tranquility before heading to the busy street of Rua Cuhna at the Taipa Village. 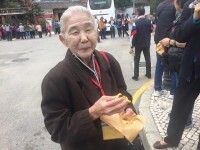 The last stop was the Panda restaurant where they had a taste of Portuguese and Macanese cuisine. 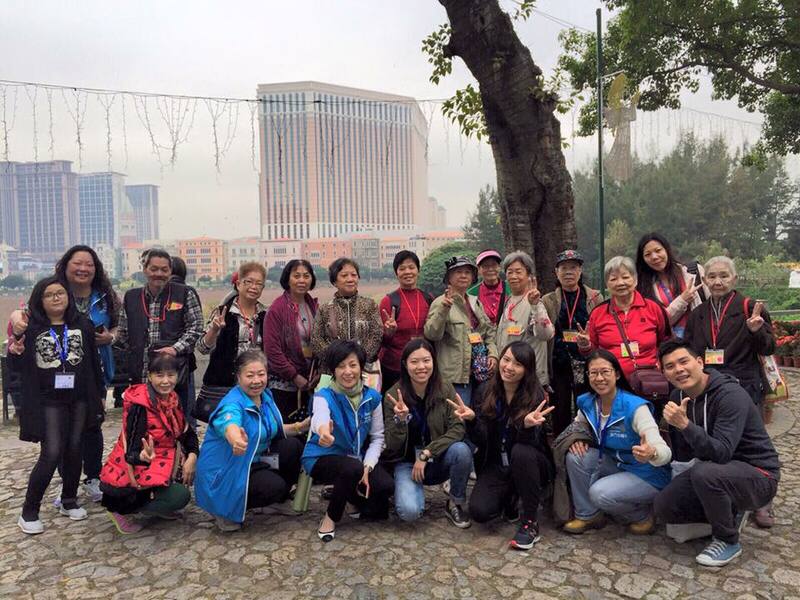 Before heading back, Rotarian and Rotaractor volunteers played games and distributed goody bags containing essentials for the grannies (handkerchief, Pak Fa Oil, hand warmer and local cookies donated by October Fifth Bakery). 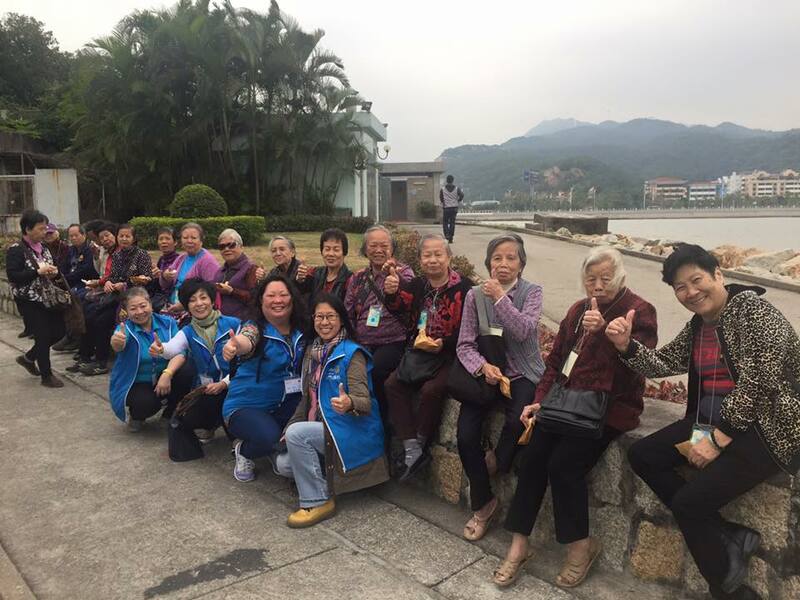 There were so much history, joy, fun, laughter, and memories throughout the whole day that most of the Grannies will look forward for the next time!